Although the concept of holism has been implied by many thinkers, the term Holism, as an academic terminology, was first introduced and appeared publicly in print, by Smuts (1926) is his book Holism and Evolution. He writes that: “Holism (from ολος = whole) is the term here coined for this fundamental factor operative towards the creation of wholes in the universe” (p. 86). Today, the concept holism is common place in many fields of study for example, physics, general systems theory, biology, anthropology, medicine, cybernetics, holography, and various branches of psychology. It must be noted that the concept of “Holism” as introduced and applied by Smuts is not the same as the word holism as it is generally applied in many disciplines. Smuts uses the word in a metaphysical context (as an ontological phenomenon inherent in nature), not as a broad principle as it is often used today, succinctly articulated by Aristotle as “The sum is bigger than its parts.” Smuts (1927) defined Holism as “the ultimate synthetic, ordering, organising, regulative activity in the universe which accounts for all the structural groupings and syntheses in it, from the atom and the physic-chemical structures, through the cell and organisms, through Mind in animals, to Personality in man” (p. 326). Although Holism is an “attempt at a synthesis” it is not be understood as a system of philosophy, as Smuts did not “believe very much in systems”, and went on to say that Holism “tries to emphasize one aspect of thought that has hitherto a neglected factor. I am trying to hammer out this neglected factor, which is, to my mind, all-important in getting the synoptic vision” (1942, p. 147). Smuts wrote Holism and Evolution in 1926, in which he provided an overview of his theory of Holism, during a time that a materialistic worldview was dominant in philosophy and science. When Smuts developed his theory, the deterministic views of Hegel were popular, and Darwinian evolutionary theory was being gradually accepted. Smuts strongly opposed the deterministic view of Hegel, and set out to explore the deeper “internal” structures behind Darwin’s theory of evolution from a scientific point-of-view. Holism and Evolution can be understood as a rebellion against the reductionist science and philosophy of his time, and an attempt at laying a new ontological foundation to understand the seemingly creative nature of evolution and man. Smuts (1926/1987) states: “At present the concept of life is so indefinite and vague that, although the Kingdom of life is fully recognised, its government is placed under the rule of physical force or Mechanism. Life is practically banished from its own domain, and its throne is occupied by a usurper. Biology thus becomes a subject province of physical science—the Kingdom of Beauty, the free artistic plastic Kingdom of the universe, is inappropriately placed under the iron rule of force. Mind again, which is closest to us in experience, becomes farthest from us in exact thought” (pp. 3 – 4). As mentioned already, Smuts’ notion of Holism is not meant to be a complete integrative system of thought, and as such it is better understood as a foundational ontological concept. Smuts’ (1926) book Holism and Evolution was at its core an attempt to provide such a new foundational concept into our understanding of the world, and which he hoped would show that life and mind “are in their own right as true operative factors, and play a real and unmistakable part in determining both the advance and its specific direction” (p. 15), and not “to reduce life and mind to a subsidiary and subordinate position as a mere epiphenomena, as appearances on the surface of the one reality, matter” (p. 8), as the scientific materialists proposed. Smuts (1927) was well versed in Einstein’s theory of relativity and pointed out that the universe was created in successive and progressive increments as the result of activity in Space-Time “which expresses itself actuality as a passage, a process, a passing beyond existing forms and structures” (p. 337), and that any phenomenon is really a “synthesised ‘event’ in the system of Relativity” (p. 89). Smuts (1927) concluded that there existed an “inner driving force” and “creative principle” as an intrinsic part of the progress of evolution and referred to this creative and active force as Holism (p. 101). Holism was the creative factor responsible for the progressive evolution from matter, to life, to mind and finally the human personality. “Holism constitutes them all, connects them all, and so far as explanations are at all possible, explains and accounts for them all” (Smuts, 1927, p. 329). Smuts (1927) suggested that when observing material structures the traces of Holism would be barely detectable, but when we study complex organisms we would find that “something more” exists beyond the elements which holds it all together. “This ‘something more’ we have identified as Holism, and we have explained it as not something additional quantitatively, but as a more refined and intimate structural relation of the elements themselves” (p. 282). 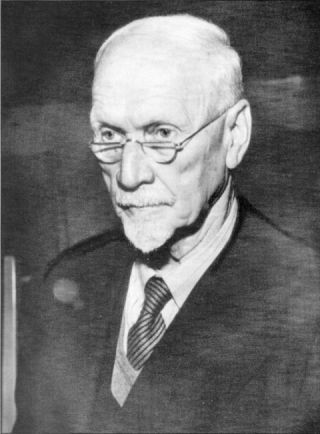 A shallow reading of Smuts can easily give the impression that he is suggesting a type of teleological animism, but Smuts rejected the theory of animism, and he also rejected a common-place idea at the time, which suggested that a transcendent spiritual realm acts on physical matter to animate it (Whitford, 1998). He believed that it was equally inaccurate “to reduce the lowly organisms at the beginning of life to pure mechanism,” as it was “to explain them on the assumption of their having a complete personality like human beings” (Smuts, as cited by Hancock 1962, p. 292). In critiquing other approaches that attempt to explain the emergence of life from matter, Smuts (1927) points out that Naturalism does not account for creative evolution; Monadism incorrectly attributes mind and spirit to the inorganic realm; Idealism inaccurately assumes that “spirit” was present from the beginning of evolution and does not recognize that spirit evolved creatively; and Spiritual pluralism fails to recognize the “really creative work of evolution” (p. 327). This blog post is an extract from a presentation at the Fourth International Integral Theory Conference 2015, The Integral Jan Smuts, by myself and Dr. Robert Weathers. All citations in the blog can be found in the reference list in The Integral Jan Smuts, on my Resources page of my website.